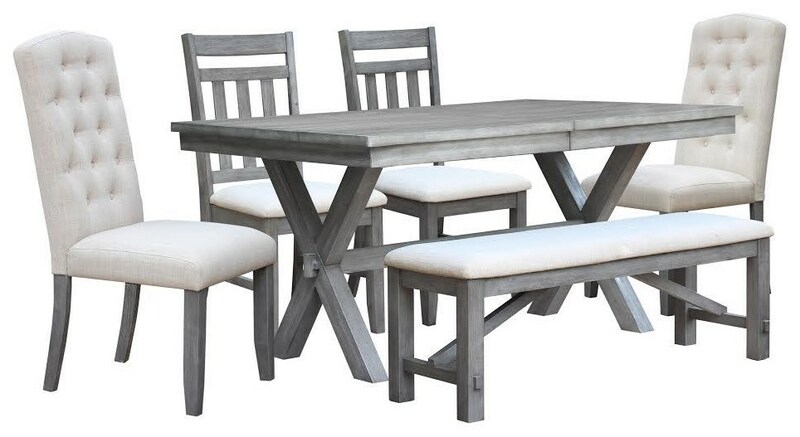 A sleek grey dining design with hints of old world rustic times. This Shelter Cove Dining Collection features wire brush through out and a friendly 60" gathering size table that can extend to 78". Many seating options to choose from, all with light ivory linen design. Teal finish. The Shelter Cove Shelter Cove 6pc Table Set with Bench by Vilo Home at Michael's Furniture Warehouse in the San Fernando & Los Angeles area. Product availability may vary. Contact us for the most current availability on this product.